As new territory opened for settlement in Minnesota in the mid 1800s, sites along the Minnesota River were staked out for future communities. While some never developed, others, such as Chaska, thrived. The beginning of the European-American occupation began in 1776 when Jonathan Carver began to map the area along the river. In 1851, an easterner named Thomas Andrew Holmes traveled up the Minnesota River where a twenty-acre clearing in the Big Woods attracted his attention. He claimed it as the Chaska town site. It operated as a township until 1871 when it became a village. 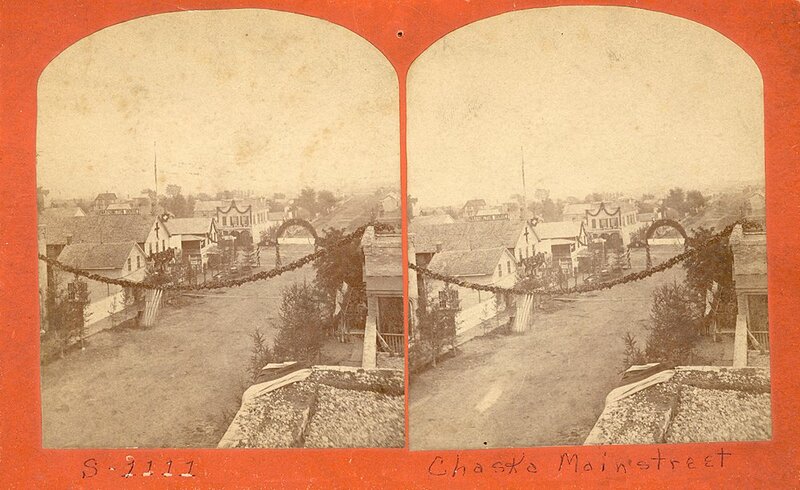 Twenty years later, in 1891, the village of Chaska became a city. 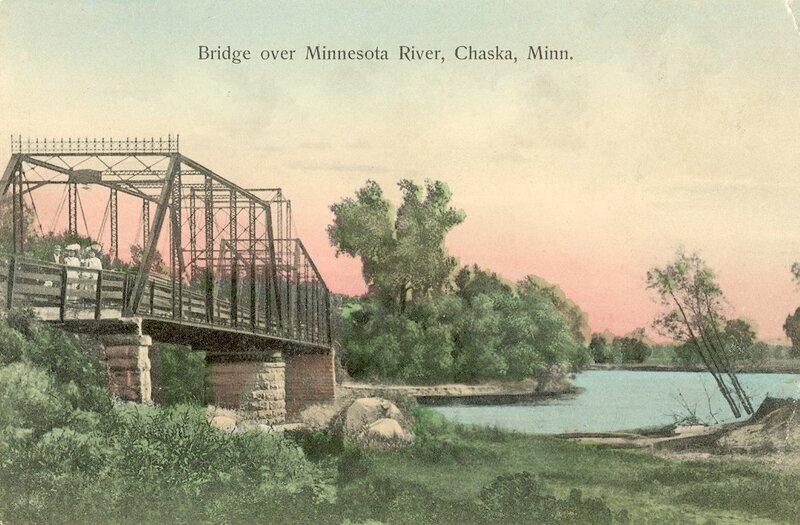 Most of Chaska’s early settlers emigrated from German-speaking nations. They opened shops, schools and churches to serve both the farmers of the surrounding Carver County area and the townspeople. Early religious life reflected the German heritage of those first citizens, with three churches organized here, the Moravian Church (1858), Guardian Angels Catholic Church (1858) and St. John’s Lutheran Church (1884). All are still located in downtown Chaska. An abundance of high quality clay, the presence of the Big Woods in central and northern present-day Chaska, and the brick-making knowledge of the German settlers led to a thriving brick making industry, starting in 1857. The brickyards (a total of eight at one point) provided employment for hundreds of people. 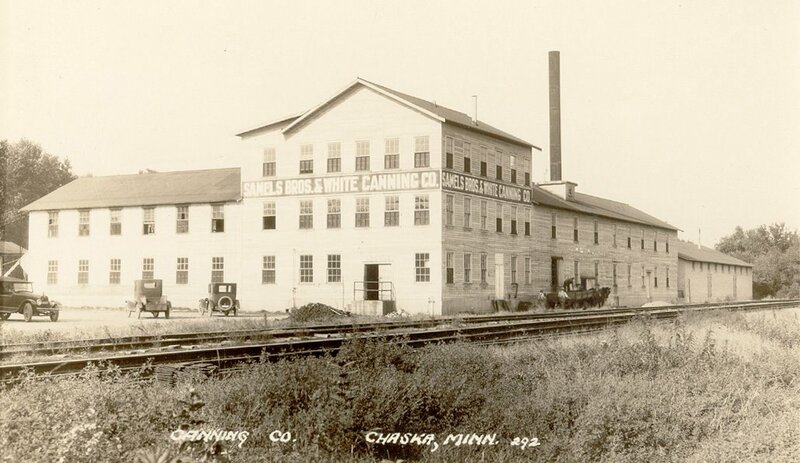 Forty million of the famous cream-colored Chaska Bricks were produced in 1910 alone. They were used to build homes, churches, businesses, farmhouses, public buildings and schools in Carver County. Bricks were shipped elsewhere by steamboat and barge until two railroads came through the city in 1872. Chaska brick can be found in the Minnesota State Capitol, the Grain Belt Brewery, Fort Snelling, the Minneapolis flour mills, and Stillwater State Prison. By the late 1940s the clay supply had become too expensive to mine, and brick making in Chaska came to an end. Three clayholes, from which the clay was mined, have become a beautiful part of the city’s downtown park system through a series of natural springs. For over a century, an important piece of life in Chaska has been the strong public school system. 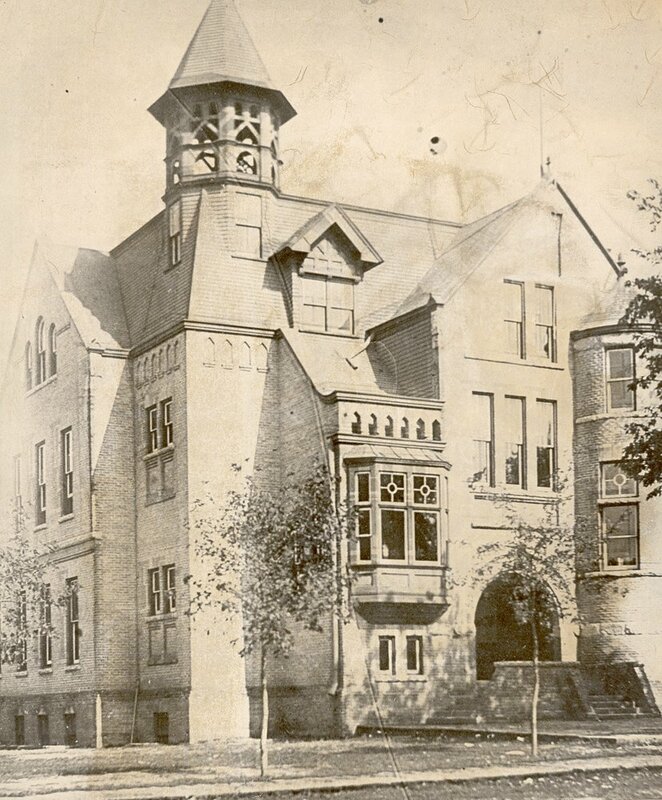 The first class graduated from Chaska High School in 1906. Parochial schools such as Guardian Angels and St. John’s provided a faith-based education and continue to do so in the twenty-first century. The arts, music and baseball have all played a prominent role in Chaska since its beginning. Weekly band concerts in the town square began in the 1880s and audiences today are still enjoying the music on hot summer evenings. Community bands have entertained people for more than a century. Dances at the Valley Ballroom were well attended and the prize-winning Drum and Bugle Corps marched in all the big parades around the area. A strong theater presence, which began in the old Opera House and Schnitzelbank Club, and later moved to the Worm Barn Theater, continues with performances at the Chaska Community Center. Town team baseball, a passion since 1871, is today represented by the Chaska Cubs who play at the historic Chaska Athletic Park. Youth recreational opportunities have been and continue to be a strong component of life in the community. Throughout its first 100 years, Chaska’s population averaged about 2000 and the city remained an agricultural service center. 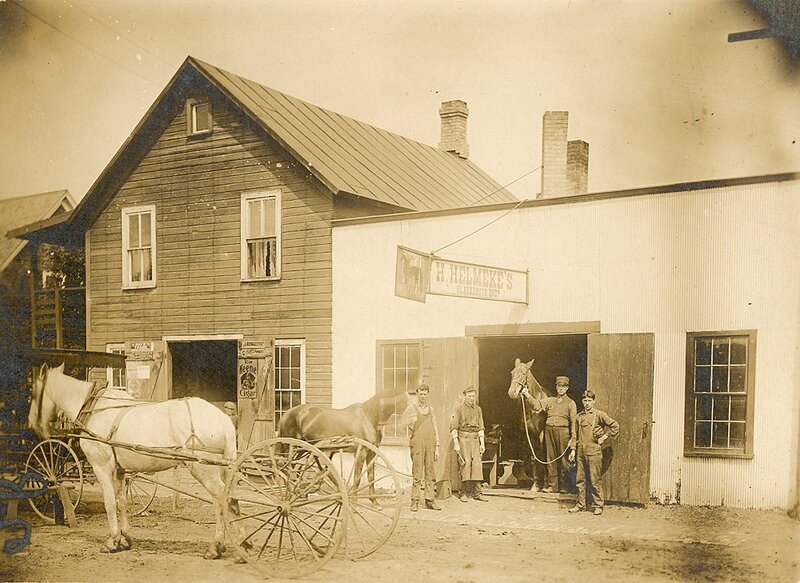 The American Crystal Sugar Company, the Gedney Pickle Factory, the Chaska Flour Mill, the Sugar City Cooperative Creamery and the Chaska Canning Company were all industries reflecting that agricultural focus. In the mid-1960s Chaska began the transition from an agricultural city to one that was part of a rapidly expanding metropolitan area. Chaska annexed thousands of acres to the north of the downtown and the population grew from 2,000 in 1960, to 8,300 in l980, to 24,500 in 2014. Much of the growth was due to the federally funded Jonathan project, a planned community, which began in the late 1960s in Chaska. Today, the original Jonathan neighborhoods still thrive and are surrounded by other housing developments, industrial parks, and a beautiful ravine and trail system that connect the old and the new parts of the city. From its early importance to Native American communities to its success as a thriving river town, to the more recent urban planning developments, Chaska has maintained its sense of place. Its business and industrial history, its role as the seat of Carver County government, its distinctive Chaska brick architecture, its historic downtown with a vintage gazebo in the Square, and its new neighborhoods filled with new young families, all make Chaska unique. Chaska’s citizens and its leaders are committed to a strong city that respects its rich heritage, retains its small town feel, and welcomes the challenges of the future. To learn more about Carver County history, contact Heidi Gould at (952) 442-4234 or hgould@co.carver.mn.us. This website was made possible by a grant from the Arts and Cultural Heritage Fund, passed by the vote of Minnesotans on November 4, 2008.